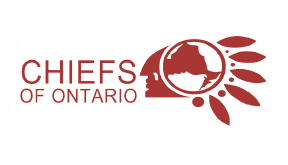 Anishinaabemowin-Teg asked Ontario Regional Chief Isadore Day, Wiindawtegowinini for a statement regarding attendance of our upcoming conference. The following statement from his office summarizes why students and teachers of Anishinaabemowin should be encouraged to attend our 23rd Annual Conference March 30 to April 2, 2017, Kewadin Casino Hotel, Sault Ste. Marie, Michigan. CBP information for Status Indians (American Indians resident in Canada) Native American Indians born in Canada with at least 50% American Indian blood are exempt from having a visa and passport to enter the U.S. by land. They should have their tribal identity card to present to the CBP Officer. If an American Indian is arriving into the U.S. by AIR, the traveler will be required to have a passport. Generally, CBP officials will allow individuals with either a Canadian passport or a INAC Status Card to visit the USA. Suspicions of Native Americans attending USA for work purposes may attract attention about the purpose of the entry in the USA This is really where the 50% blood requirement is part of the decisionmaking. CBP will allow Canadian Resident Native Americans to visit or stay in the USA with either a Canadian passport or Indian Status Card. The Executive Order of the President of the United States targets foreign nationals born in one of 7 targeted countries. These countries are targeted because of advice given to the President about the information those countries are unwilling or incapable or sharing for purposes of “extreme vetting”. Canada has a data sharing agreement that shares information about their residents to the United States. Therefore, it is not expected that there will be additional scrutiny of Canadian residents visiting USA. Border crossing rights have not changed since 2009. The Jay Treaty allows for trade and commerce by Tribes across borders. This exempts First Nation citizens from Canada, who may prove 50% blood quantum from requirements asked of other Canadian citizens who work in the USA. There is a template letter that could be made available to Chiefs regarding their citizens and the right to cross the Canada/USA border.